The Most Important Research Based Book About PEMF Therapy. • Chapter 1: This chapter is all about the 5 elements essential to life and how earth-based pulsed magnetic fields are the 5th essential element. • Chapter 9: We’ll go into detail on all the wonderful bene$ts you’ll receive by supplementing your life with an earth-inspired PEMF device. This book is pro-health not anti-disease, so we’ll focus only on the health of your body and the bene$ts you’ll get by using PEMF therapy on a daily basis. Health should not be looked upon as the absence of disease, but instead a process of growing stronger and more energetic every day. Bryant Meyers, BS MA Physics, is a former physics professor, TV show host, and leading expert in the field of energy medicine and PEMF therapy. 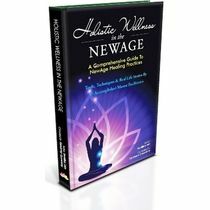 For over eighteen years, he has researched, tested, tried, and investigated well over $500,000 worth of energy medicine and frequency devices, studying with many of the world’s experts. During the past six years he has dedicated his life and research to PEMF (Pulsed Electromagnetic Field) therapy, which he feels is the crown jewel of energy medicine. He has also helped and personally assisted thousands of people in this exciting new field. Bryant currently lives in Sarasota, Florida, near the beautiful Siesta Key Beach. This Show will Air on ABC, CBS, NBC and FOX affiliates across the country. 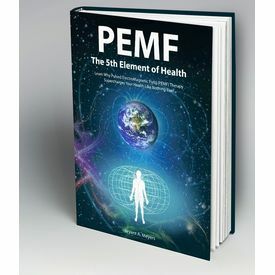 International Bestselling Author Brian Tracy interviews Bryant Meyers about his new book on PEMF - The 5th Element of Health.